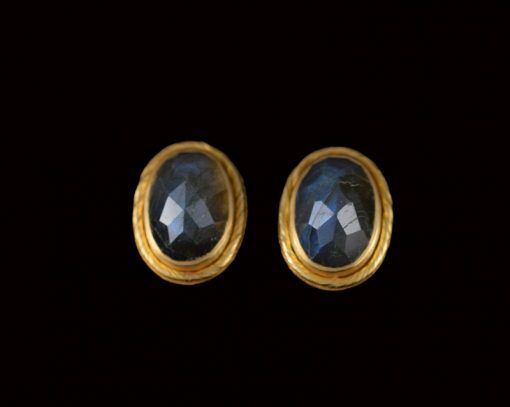 Home / Earrings / Coloured Stone Earrings / Checkertop labradorite stones set in 22ct gold earrings. Checkertop labradorite stones set in 22ct gold earrings. Beautiful quality and beautifully coloured labradorite that has been cut in a checketop. These magnificent stones are set in 22ct gold, with a twist of fine wire round the settings. 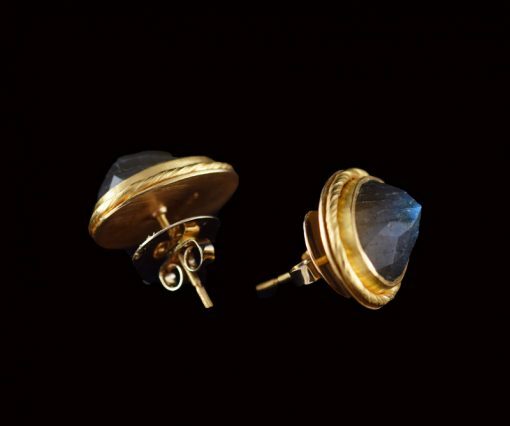 The earrings are on posts, and are approximately 1.5cm in length.